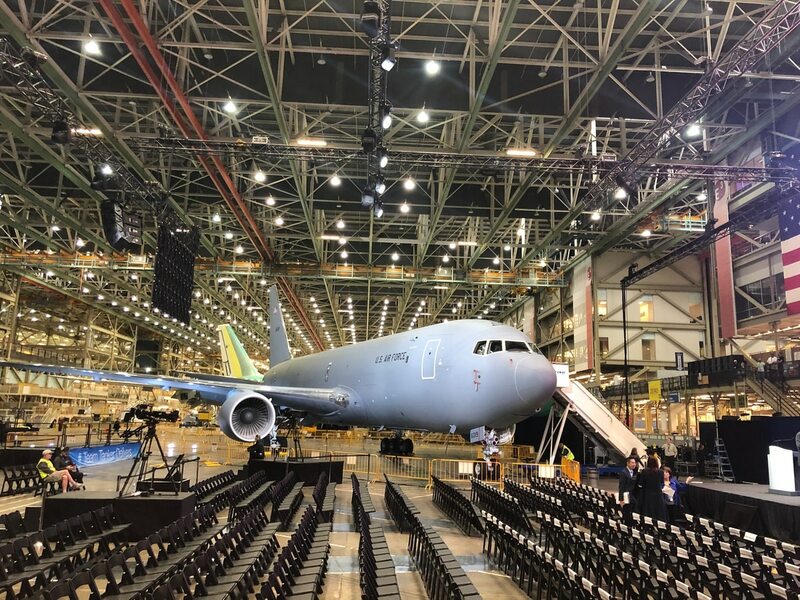 Courtney expressed concern that problems with the KC-46 appear to be getting in the way of the Air Force’s “optimistic projections” about delivery of the aircraft. Stefanek said the problems are not related to the aircraft’s design or engineering specifications. Boeing has so far delivered seven KC-46s to the Air Force. “Air Force leadership is meeting with Boeing to approve additional corrective action plans before aircraft acceptance can resume,” Stefanek said. In another budget hearing Tuesday afternoon, with the House Appropriations subcommittee on defense, Wilson said that problems with foreign object debris can range from a dropped wrench that gets left behind, to small pieces of aluminum left on surfaces. But if surfaces don’t get wiped down to clean off those aluminum fragments, they can get in the middle of things and cause serious problems in the aircraft, Wilson said. Boeing said in a statement Tuesday that fixing this problem is a top priority for the company and the program. “Safety and quality are our highest priority,” Ramey said. Deliveries resumed March 11, after more than two weeks, when the seventh Pegasus arrived at Altus. The Air Force had received Boeing’s corrective action plan, and said it would closely scrutinize plans before accepting them. U.S. Transportation Command said last month that it is preparing to delay the retirement of some KC-135 tankers, which are intended to be replaced by the KC-46, due to the problems and delays with the Pegasus’ deliveries. Technical problems had already delayed delivery of the first tanker more than two years from when it was originally expected.